Click here to read information on the "how to" fish eagle canyon. 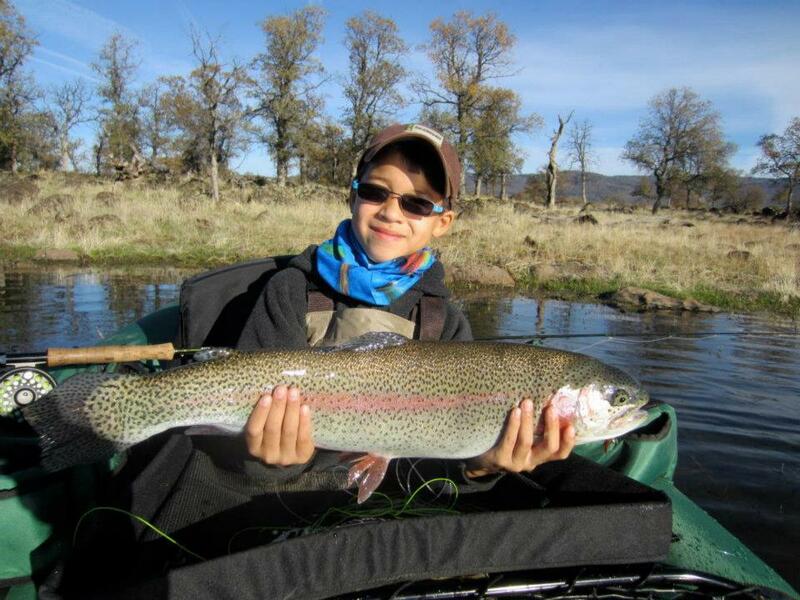 Eagle Canyon Lake's trophy trout are the biggest, healthiest, hardest-fighting rainbows you'll find anywhere. These fish are raised in the clean, cold spring-fed waters of Mt. Lassen. You will find our rainbows to be incredibly eager to take flies. Our big fish are quality fish.Plenty of five-pound-plus 'bows per day typify the kind of success that distinguishes our fishery; 10-pound-plus 'bows are hooked regularly. Located just off Highway 36 East, approximately 20 miles northeast of Red Bluff, California. The lakes are located on a working cattle ranch in the oak-covered foothills west of Mt. Lassen National Park. This serene outdoor setting is characterized by spring-fed waters, volcanic outcrops, and snow-capped mountains. We have two spring-fed lakes on the ranch. The big lake is 3.5 acres and the small lake is 1.5 acres. There is no lodging at the lake so we will be staying in Red Bluff. Max. 7 rods and no other anglers on the lakes.